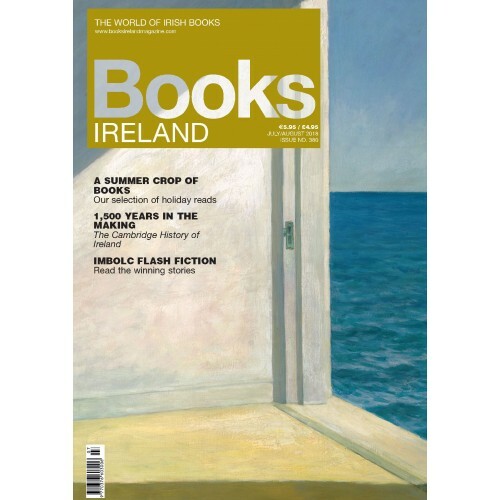 Jim Power shares his insights into bookselling and the Irish economy, following his recently published report. Tony Canavan with his latest gleaning from the book world. Caoimhe Fox has the latest news about Irish publishers’ book rights. Secret city guides Pól Ó Conghaile and Lorenza Bacinorecount exploring off the beaten track in Belfast and Dublin. A summer crop of books Here’s our selection for books to read while holidaying at home or abroad. Thomas Bartlett, an editor of The Cambridge History of Ireland, gives us an insider’s view of this mammoth project. Imbolc The winning entries from the Irish Writers Centre Imbolc Flash Fiction Competition. Tony Canavan compares the novel and film versions of Bernard McLaverty’s Cal. Tony Canavan celebrates ten years of Blackrock’s Raven Books. Patrick Mulroe—An Army of Tribes: British army cohesion, deviancy and murder in Northern Ireland, by Edward Burke. Christine O’Neill—The Joyce Country: literary scholarship and Irish culture, by David Pierce. Hugh Oram—The Quest for the Irish Celt, by Mairéad Carew. Jennifer Martin—Almost Love, by Louise O’Neill. Mary Burnham—Cocktail Bar, by Norah Hoult. David O’Donoghue—In America: tales from Trump country, by Caitríona Perry. Elizabeth McSkeane—The Kilderry Files, by Maurice Manning. Deirdre Ní Chuanacháin—A Sentimental Journey through France and Italy, by Laurence Sterne, illustrated by Martin Rowson. Marjorie Quarton—Letters from Aleppo: chronicles of war and hope, by Ibrahim Alsabagh. Laura Fitzgerald—The Rebels and Other Short Fiction, by Richard Power (James MacKillop ed.). Hugh McFadden—Writing under the Influence: alcohol and the works of 13 American authors, by Aubrey Malone. Fred Johnston takes another selection of the latest poetry books. Cathal Póirtéir makes his choice of recently published books as Gaeilge. Sue Leonard with the best of the crop in recent début authors. Paula O’Hare out what’s new in crime fiction. 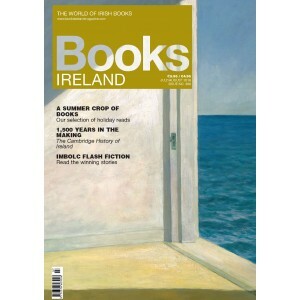 Tony Canavan lists all the books sent in since our previous issue. Andrew Meehan has happy memories of a particular bookshop in Glasgow.